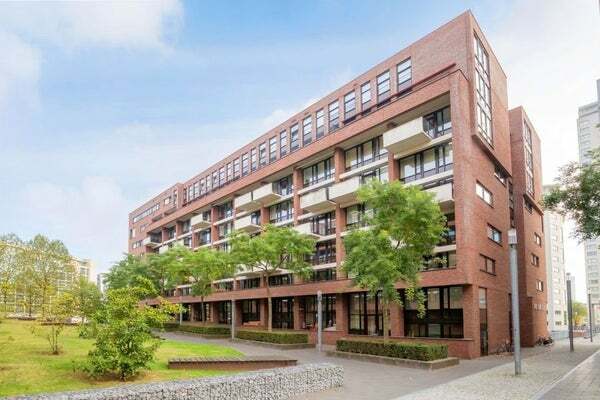 Located in the center of Eindhoven, very luxurious furnished 3-room apartment. Living room of approx. 40 m2. This spacious apartment has 2 spacious bedrooms, spacious bathroom with shower and bath. Modern open kitchen with induction hob, extractor hood, oven, microwave, fridge, freezer. Utility room with washing machine and dishwasher. In the spacious hall is a separate toilet with fountain. On the side of the apartment is the sunny balcony. Private parking space in the underground cellar under the building. - Administration costs on rental.